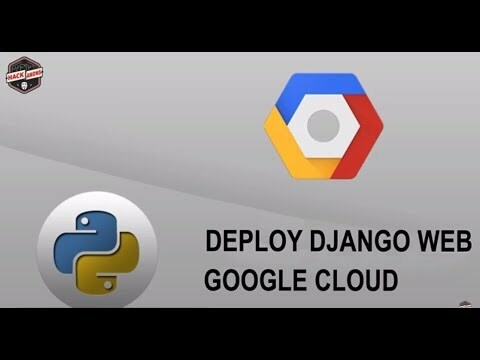 Here we continue deploying our Python Django with Google Firebase series Django Project in which we have create a Employee Daily Progress Reporting System which uses different-different Firebase Functionalities such as : Firebase Authentication for Login the user, Firebase Database for Read\Write operations like storing reports data create by user, Firebase storage for uploading images, docx to be uploaded by user & at last but not the least Firebase cloud messaging : For sending automated push notification to Admin Android App once report created by user. First step is make a list of libraries, installed while creating your Django Project. Here is bonus tip, every-time starting your Python Django Project create & activate virtual environment this will isolate installed libraries. Above command create file named req.txt which includes the list of libraries used in our project. Now just paste this file where in Project directory and create a compressed tar file . In next step we have to Setup Google Cloud Console and Vm Instance done in previous post. that's it click on create button and run vm instance and get SSH access. Now, we need to transfer our Django project from workstation to Vm instance for which we are having diffrent ways like using Github | Bitbucket, SCP & using Google cloud sdk. Using SCP is one of my favourite one but there issue of version control also for which you can intialize git. above commands will create and show a public ssh key that you have to add in Google cloud console. here add ssh key you got in previous step . above command transfer Django project from Workstation\Host machine to Vm instance. Now, Django project is on vm instance let's extract the tar.gz file and live our django Web-App. So, here comes our final step for which we are waiting let's run our Django project use below command and access your live website on vm instance public I.P. address. There are too many ways for running django in background, i personally prefer Nohup command for running project in background. there might be conditions you need to kill nohup process for server upgrade use kill command.